My memories are simply of him as a guest in our home — of a great personality who is still vivid to me! His brilliant eyes, his charming voice with the lilt of a slight well-bred Irish brogue. His warm smile! The face with its inscrutable expression, the eyes so full of flashing light, and the whole emanation of power, are beyond description. The bare-headed photographs in the book "Swami Vivekananda's Speeches and Writings", published by Messrs G. A. Natesan & Co. give a good idea of the appearance of the Swami. But no photograph or description can give a correct idea of the power of his eyes. They were wonderful. Like the "Ancient Mariner" in Coleridge's famous poem he "held you by the eye". The voice too had an indefinable attraction. Though not ringing and silvery like Mrs. Beasant's in her prime, more soft and pleasant like Mr. Norton's it attracted you and held you. He could sing beautifully. - A Srinivasa Pai (from his reminscences) describing the Swami in Madras 1893. I had looked for the last time on his fathomless and compelling eyes, and at the prophetic fire and glow in the face of him whom I consider the greatest man and teacher of the age, a true mahapurusha and messenger from the heaven to the people of India and to all mankind. 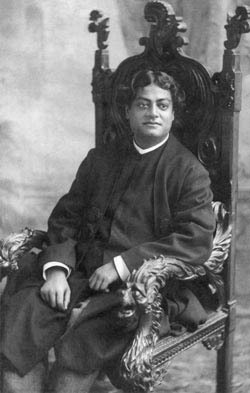 Glory to Swami Vivekananda for ever and ever! "The Swami was rather striking in appearance and appeared to be even at first sight somewhat out of the common run of men." Dr. Edgar C. Beall in The Phrenological Journal: "One of the most striking peculiarities of this man is the femininity indicated in nearly every contour of the figure, face, head and hands. He has probably as perfect a conic hand as could be imagined." Sankari P. Basu & Sunil B. Ghosh, eds. 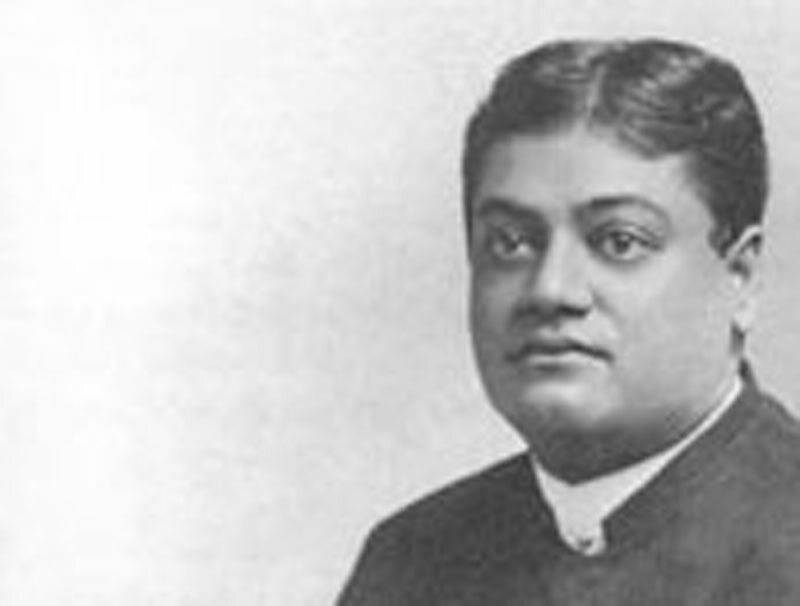 Vivekananda in Indian Newspapers, 1893-1902 (Calcutta: Basu Bhattacharyya & Co., 1969), p. 77: Dr. Beall's Journal article was reprinted in extenso in the Amrita Bazar Patrika of Calcutta on February 20, 1897.